I’ve done somewhere around 50 grams of carbohydrates a day (30 grams when subtracting out fiber) for the past year. And my blood sugar control has been great. I’ve wondered how low someone has to go (or stay) in order to control Type 2 Diabetes. 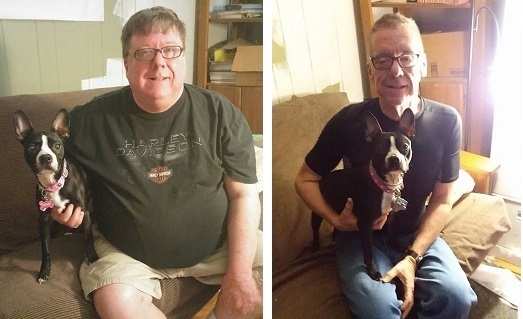 Certainly, the weight loss I’ve had (120 lbs) is a part of the solution. Being at a low body fat percentage now (7.5% per BodPod) has to help as well. My weight has been stable for 6 months now as well which means I’ve not lost or gained any weight – I was at 164.7 lbs when I took the BodPod test and today I weighed 163.7 lbs (close enough). My coffee consumption (which helps in weight loss for sure) is higher than ever before but I’m trying to keep the caffeine down by mixing in mostly decaf coffee. So all of this begs the question of how many grams of carbs I could tolerate. Now, I am not going to be testing this anytime soon. I find the advantages of being low carb just way too easy (see above for the results). I did find a study that might provide at least a partial answer to the question of how many grams of carbs can keep someone in remission from Diabetes. The answer is in this 2009 study (Haimoto H, Sasakabe T, Wakai K, Umegaki H. Effects of a low-carbohydrate diet on glycemic control in outpatients with severe type 2 diabetes. Nutr Metab (Lond). 2009 May 6;6:21). were instructed to follow a low-carbohydrate diet (1852 kcal; %CHO:fat:protein = 30:44:20) for 6 months in an outpatient clinic and were followed to assess their HbA1c levels, body mass index and doses of antidiabetic drugs. HbA1c levels decreased sharply from a baseline of 10.9 ± 1.6% to 7.8 ± 1.5% at 3 months and to 7.4 ± 1.4% at 6 months. These are similar to the results I got with the Low Carbohydrate diet when I got to an HbA1c level of 6.4. They are not as good as the results I got over the last couple of years with even lower levels of carbohydrates plus intermittent fasting. In spite of being on a fairly low calorie diet (1852 kcal) they didn’t lose much weight. This group also didn’t seem to be all that obese since their BMI was around 24 (top end of “normal” weight). 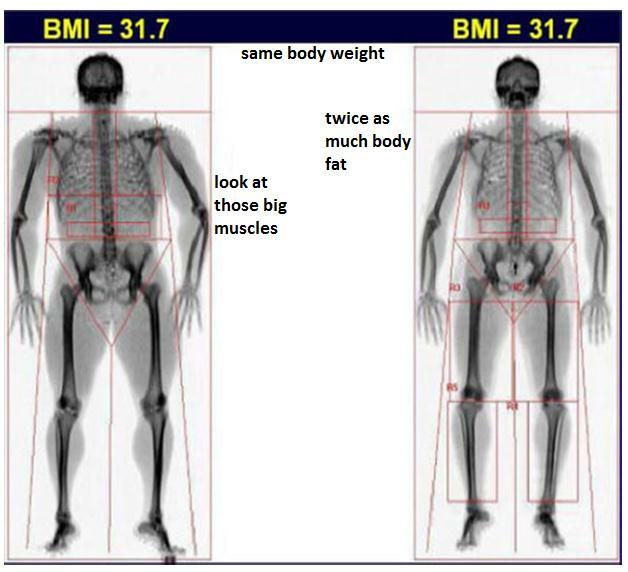 Body mass index decreased slightly from baseline (23.8 ± 3.3) to 6months (23.5 ± 3.4). So, if you are “normal” weight and diagnosed as diabetic then dropping from the Standard American Diet (SAD) 50% of calories from carbohydrates to 30% might give as good of control as exogenous Insulin without the long term increase in insulin resistance that comes along with Insulin therapy. There was one telling outlier in the data. One female patient had an increased physical activity level during the study period in spite of our instructions. However, her increase in physical activity was no more than one hour of walking per day, four days a week. She had implemented an 11%-carbohydrate diet without any anti-diabetic drug, and her HbA1c level decreased from 14.4% at baseline to 6.1% after 3 months and had been maintained at 5.5% after 6 months. Author DougPosted on November 15, 2018 November 15, 2018 Categories Diabetes, Diabetes Medications, Insulin Resistance, Low Carb Diet, StudiesLeave a comment on How Low to Go? I listened to an interesting Break Nutrition podcast (Episode 13 – What happens to fructose-fed monkeys?) on a study of Rhesus Monkeys who were fed fructose meals (Bremer AA, Stanhope KL, Graham JL, Cummings BP, Wang W, Saville BR, Havel PJ. Fructose-fed rhesus monkeys: a nonhuman primate model of insulin resistance, metabolic syndrome, and type 2 diabetes. Clin Transl Sci. 2011 Aug;4(4):243-52). (Full PDF). A Rhesus monkey used in the study is closer genetically to a human than the typical mouse study. Numerous animal studies, mostly conducted in rodents, have shown that diets high in fructose produce metabolic perturbations associated with the metabolic syndrome and T2DM. However, important metabolic differences exist between rodents and primates, particularly with respect to lipoprotein metabolism,the major site of lipogenesis (liver vs. adipose), and the physiology of thermogenesis. Therefore, the results of metabolic studies performed in primates are substantively more applicable to human physiology and medicine than those from rodent studies, underscoring the importance of developing standardized nonhuman primate models of insulin resistance for the study of metabolic syndrome and T2DM. Kimber Stanhope was one of the authors of this study. See her other study on Fructose (Not All [Sugar] Is Bad). The charts in the study are very interesting. Gabor discusses them on the podcast. Am I Still a Diabetic? My last HbA1C was 5.2 so I pass this test. My fasting plasma glucose is less than 100 typically so I pass this test. I have not had an OGTT (more on this to follow). I have none of the symptoms of hyperglycemia at all and I have had no blood sugar measurements of 200 or higher (or anywhere near that level) since I started Low Carb. I don’t know if I would pass an OGTT or not. I assume I would fail such at test in spite of losing 120 lbs, etc. The reason I assume I would fail is that I think part of being on a Low Carb ketogenic diet is that my body has developed peripheral insulin resistance. After 8 wk of consuming chow or KD, caloric intake after peripheral or central insulin and insulin and glucose levels after a glucose challenge were assessed. In a separate group of rats, glucose and insulin responses to either a low- or high-carbohydrate test meal were measured. Finally, rats maintained on KD were switched back to a chow diet, and insulin sensitivity and glucose tolerance were evaluated to determine whether the effects of KD were reversible. That answers the test that I would want to do to determine if I would pass an OGTT. What happened to the mice? Maintenance on KD resulted in decreased sensitivity to peripheral insulin and impaired glucose tolerance. So after 8 weeks of not eating carbohydrates the mice had trouble eating carbohydrates. Not much of a surprise there. It would take a deeper dive to see how much worse their PIR and IGT became. Furthermore, consumption of a high-carbohydrate meal in rats that habitually consumed KD induced significantly greater insulin and glucose levels for an extended period of time, as compared with chow-fed controls. So the mice over-reacted to carbohydrate meals by producing more glucose and insulin. Responsivity to central insulin was heightened in KD rats and associated with increased expression levels of insulin receptor mRNA. Not sure how to understand that if the mice were more insulin resistant. But was this effect a permanent change or was it temporary and a side effect of the diet itself? Finally, returning to a chow diet rapidly reversed the effects of KD on insulin sensitivity and glucose tolerance. These data suggest that maintenance on KD negatively affects glucose homeostasis, an effect that is rapidly reversed upon cessation of the diet. Although 8 weeks isn’t that long to a human it’s a long time to a mouse. I don’t know the scaling factor but it’s reasonable to assume it is years rather than the two months of the study. So, if someone is concerned about whether or not they would pass an OGTT it seems like they probably could stop the ketogenic diet for some time (weeks maybe?) and then take the test. Most of us who do LC / Keto won’t be trying it anytime soon. The fact is your doctor is not going to order an OGTT for you if you don’t fail one or more of the other numbers. In fact, if you fail the fasting blood sugar test the doctor might order you an HbA1C test for confirmation. And then, depending on other factors, may just decide to keep an eye on it. Author DougPosted on November 3, 2018 November 3, 2018 Categories Diabetes, Diabetes Medications, Insulin Resistance, Low Carb Diet, StudiesLeave a comment on Am I Still a Diabetic?